Scholarship means many things to many people. For some of us, excelling means writing scholarly works or obtaining money for an institution. For others, it means being the best teacher one can be. For others still, it means living a life of service. None of these things are easy, let alone in combination. In my case, one tangible goal I have is to do everything I can to leave the world better than I found it. While I admit that this is slightly cheesy and while acknowledging that most scientists can do little on their own, it's a personal goal of mine. Below I describe some of the projects I have done over the years and their impact (whether large or small). Along with my wife, Melissa Stefik, I am the inventor of the Quorum programming language. 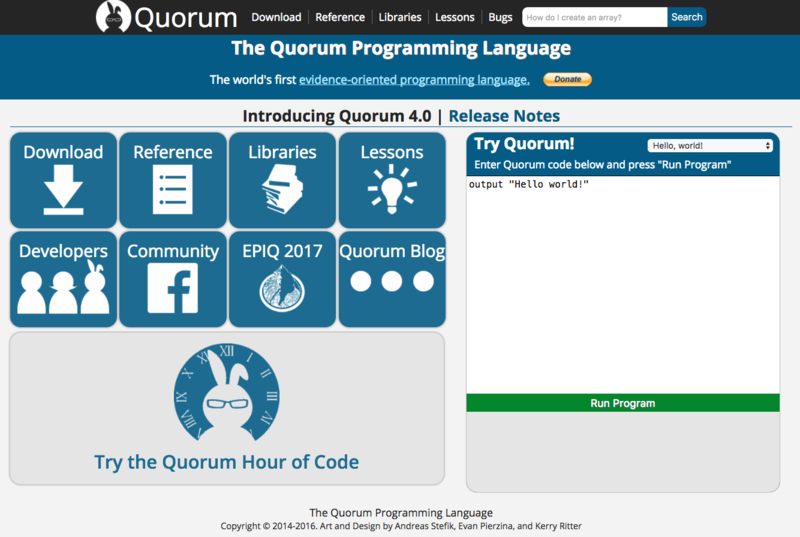 Quorum is what I call an evidence-oriented programming language. In traditional design, human factors was rarely considered, but in Quorum, we are building the language from the ground up using empirically derived models of human behavior. At its core, the idea is simple: use the scientific method and evidence to make the language better over time. Quorum is taught in at least 17 states, is used as part of Code.org's hour of code and is accessible to people with disabilities. By 2009, along with Derrick Smith (University of Alabama-Huntsville), and Chris Hundhausen (Washington State University), I created the Experience Programming in Quorum conferenceThis conference started small as part of a National Science Foundation funded project. Over the years it has grown to include teachers from throughout the United States and Canada. At EPIQ, teachers learn computer science by using Quorum. A great deal of my work is dedicated to accessibility, especially in trying to make it easier for people with disabilities to invent their own technologies. This takes several forms. First, my team and I work on a technology we call Sodbeans, which is an accessible version of the NetBeans development environment. Second, along with Richard Ladner at the University of Washington, I am a principal investigator on the AccessCS10k grant, which is trying to make it possible for students in the United States to participate in K-12 computer science education. I won the 2011 Java Innovation award for the accessible NetBeans technology. As an undergraduate, I worked with the composer Ben Johnston on a form of music often known as microtonal. This essentially means the use of notes or picthes that are not typically found on a piano. 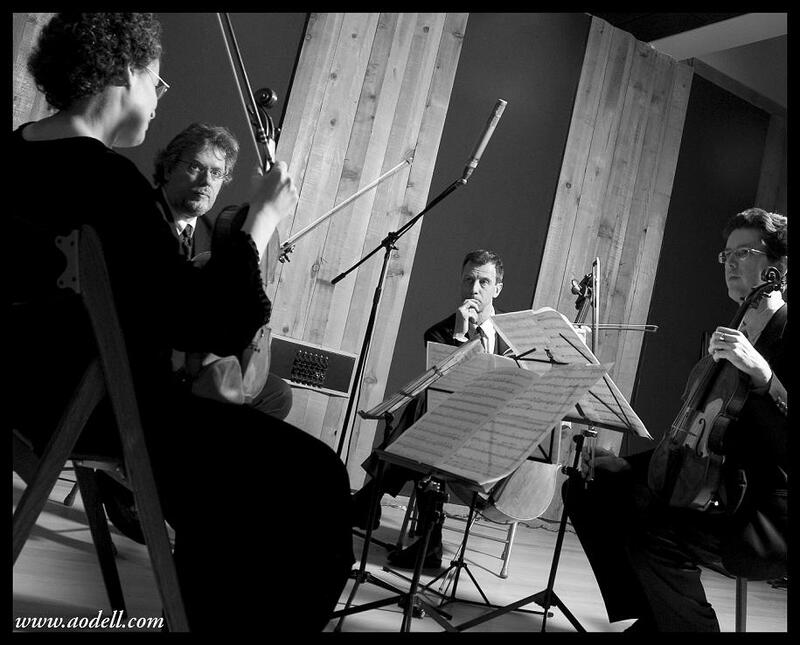 Eventually, this led to a scholarly paper analyzing the math of microtonal music, a long collaboration with the Kepler Quartet, and two musical albums. While we published a paper on the software, which was called Ammmp, it was not intended to be used in production and was not made into a commercial product.